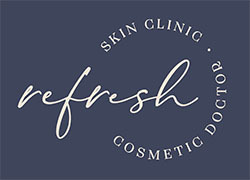 Refresh Skin Clinic specialises in the promotion of excellence in skin care and non-surgical rejuvenation procedures such as anti-wrinkle treatments, dermal filler, permanent hair reduction, double chin fat reduction and skin boosting treatments. We provide our clients with a personalised treatment program developed to assist in the restoration of the natural symmetry and balance of your appearance all performed in a friendly, pleasant and relaxed environment. We are located in Strathfieldsaye, Bendigo. Come in for an obligation free chat to discuss options, treatments and procedures to enhance your appearance. It is still aging gracefully… just with a little help! Providing anti-wrinkle treatments, dermal fillers, hair reduction and skin boosting treatments. Specialising in enhancing your appearance. Discover more about us… the friendly and professional Refresh Skin Clinic team is led by qualified Cosmetic Doctor, Dr Alfy Ordukaya (MBBS, FRACGP, AMC, B.App.Sc.Phty). Located ten minutes from Bendigo in Strathfieldsaye. Contact us via the form on our contact page or simply phone us on (03) 5439 5745.